As crime becomes more prevalent, it’s necessary to fit your car with a good, secure alarm system. Our car alarms Perth specialists are well aware of all the tricks of the trade and know exactly how to safeguard your vehicle. Beyond the added safety; we offer excellent customer service and trusted products that are sourced from global leading manufacturers guaranteed to satisfy all our clients. We try our utmost to uphold our strong reputation; if you require any additional information, an installation or an emergency repair service, contact us and we will gladly assist. We have skilfully trained team members who are experts in car alarm installations and repairs. Protect yourself and your valued asset from damage and theft with the latest in car security technology. There are motion sensors, immobilizer systems and even keyless entry systems on the market. 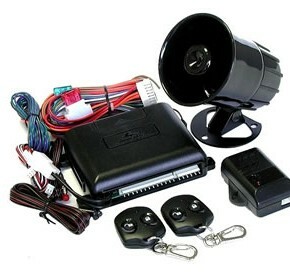 A team member will consult with you and recommend a car alarm system that suits your requirements. Contact us today for trusted car alarm installers on (08) 9362 6772.